Thankbunny is an online store that personalises gifts for everyone. 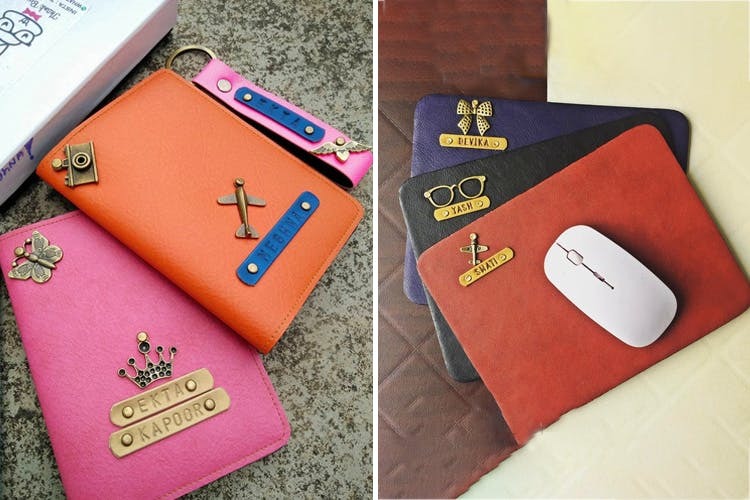 They make soft leather products and personalise them in different textures and colours ranging from bling, neon, rustic, and classic. One must explore everything on their Instagram page to get spoilt for choice. The best part of the store is that the products are pocket-friendly. Getting in touch with the owners via Whatsapp to customise the product is the best idea. You can also give your inputs or ask for suggestions. The store has cute little charms that you can add to your product as desired and a huge bunch of epigrams for the inspirational or motivational factor. Responses through Whatsapp can sometimes be delayed so it is advisable to be patient with the process of finalising the gift of your choice. Also, ensure that you extend at least a week's time for your product to be personalised so that you don't end up fretting at the last minute. Some of the travel accessories that ThankBunny offers are key rings, wallets, passport holders, travel wallets, cosmetic bags, laptop holders, diaries etc. They all are carefully personalised and double up as gifts that are bound to fit your budget. If You Like It Then You Can Put A Ring, Crown, Or Moustache On Accessories From This Brand!